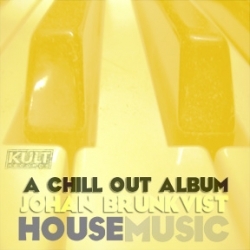 Johan Brunkvist is an accomplished keyboardist, songwriter and producer based in New York City. Johan grew up in Stockholm, SWEDEN but has been a true New Yorker for the last 25 years where he has worked in all of the sub genres attached to dance music since the mid-80's. His credits spand from CHER, EBTG, TODD TERRY, DYNAMIX,MARTHA WALSH, JOCELYN BROWN, DEBBIE HARRY, AMBER and numerous artists. His latest releases explore the CHILLOUT genre and take him back to his roots creating instrumentals cuts that sooth the soul.